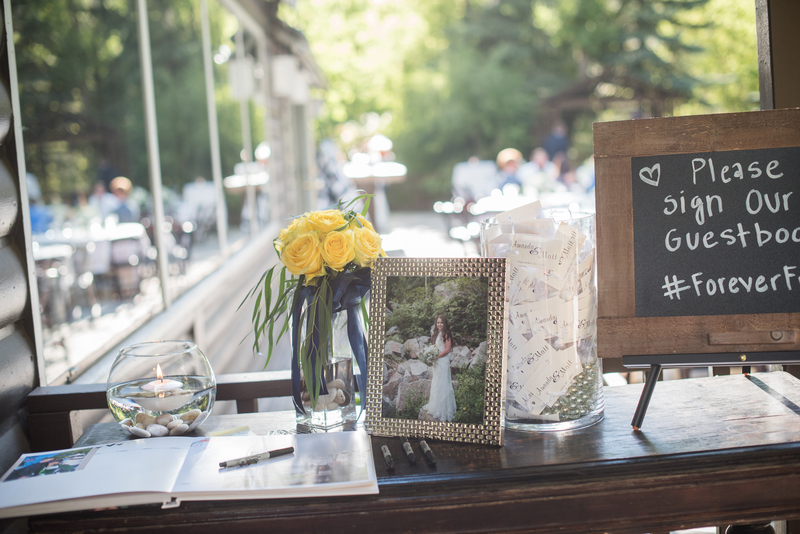 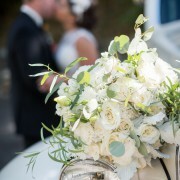 This weekend marks the one-year anniversary of this beautiful late summer wedding. 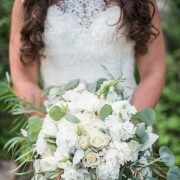 The Bridal bouquet consisted of white and green florals. 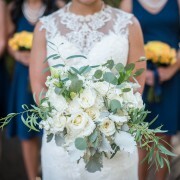 With many different textures, the bouquet was aesthetically interesting without being a distraction. 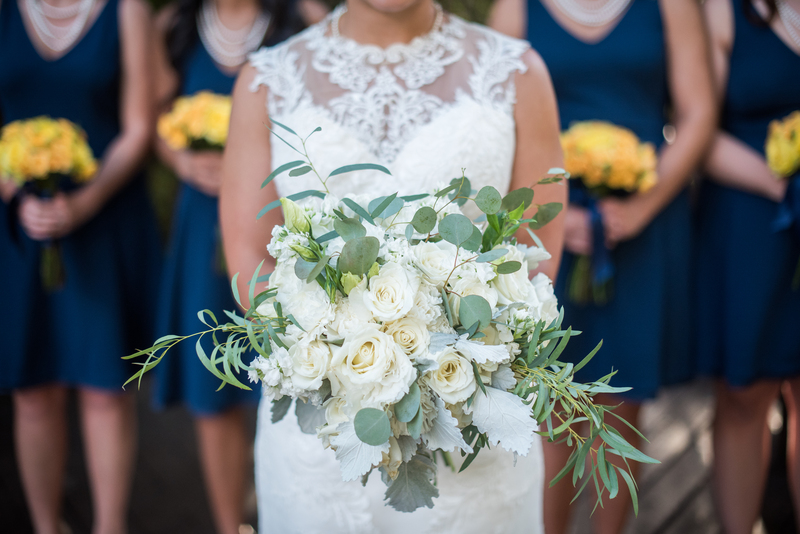 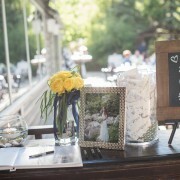 Greenery gave this bouquet a more informal structure, a nod to the beautiful canyon where the reception was held. 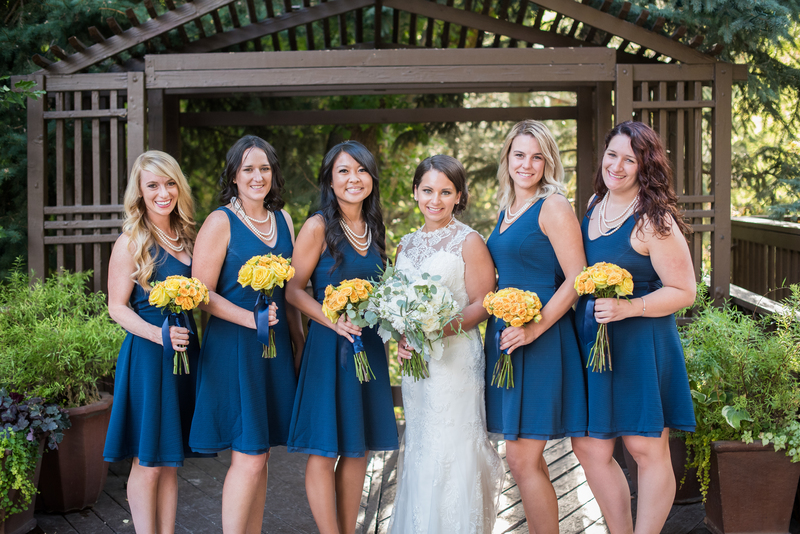 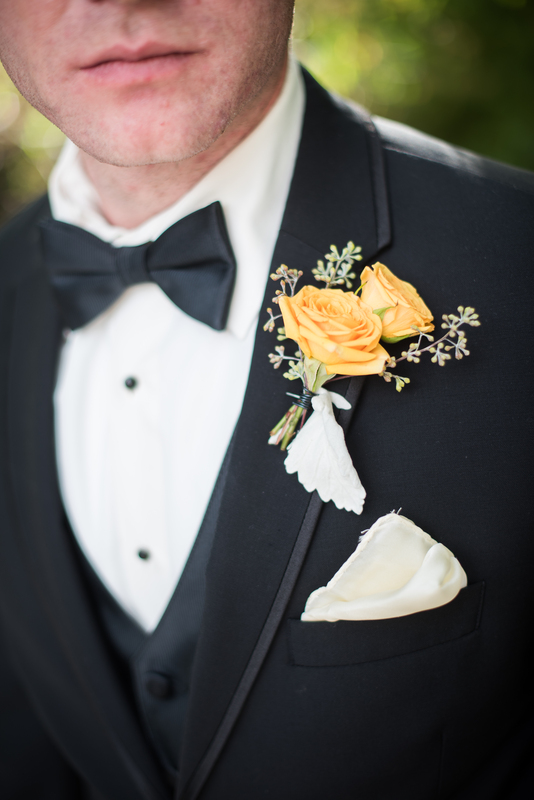 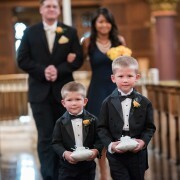 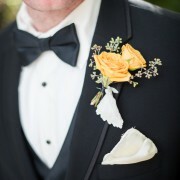 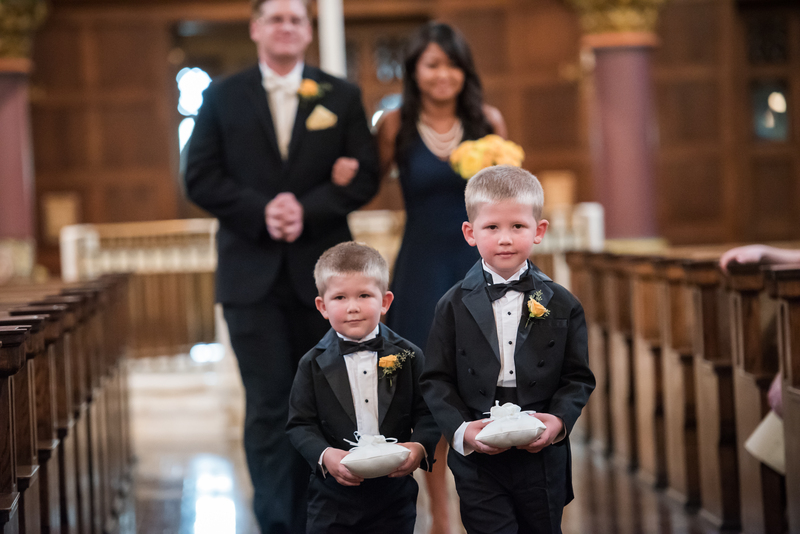 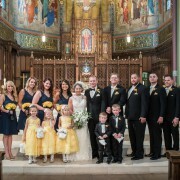 The golden yellow florals for the bridesmaids and groomsmen popped against stark navy of the dresses or black of the tuxedos. 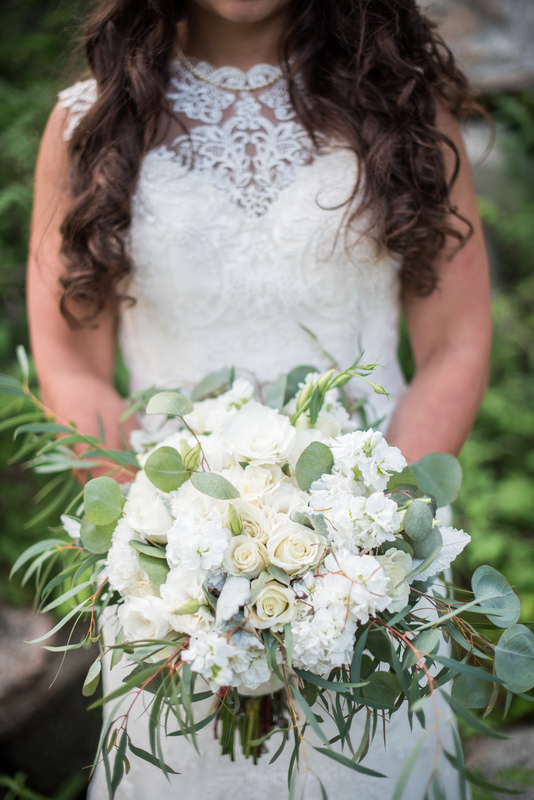 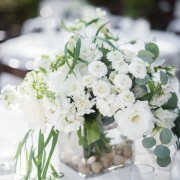 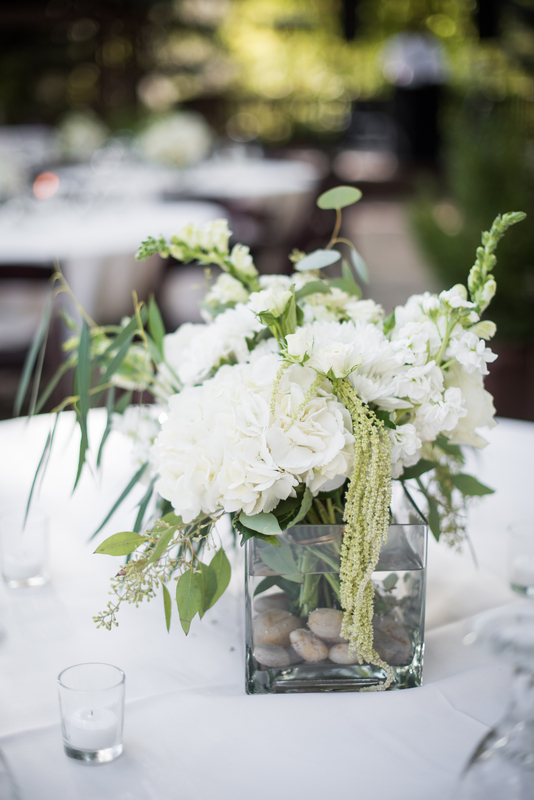 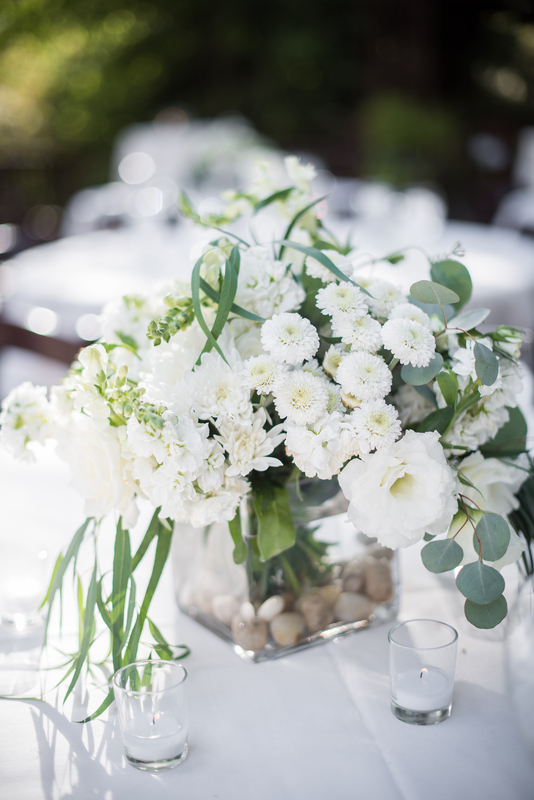 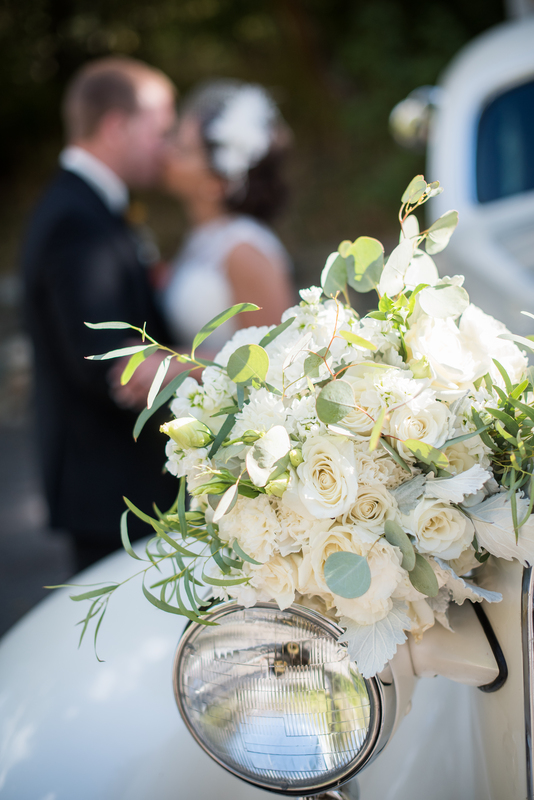 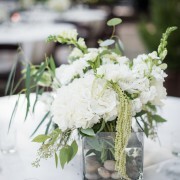 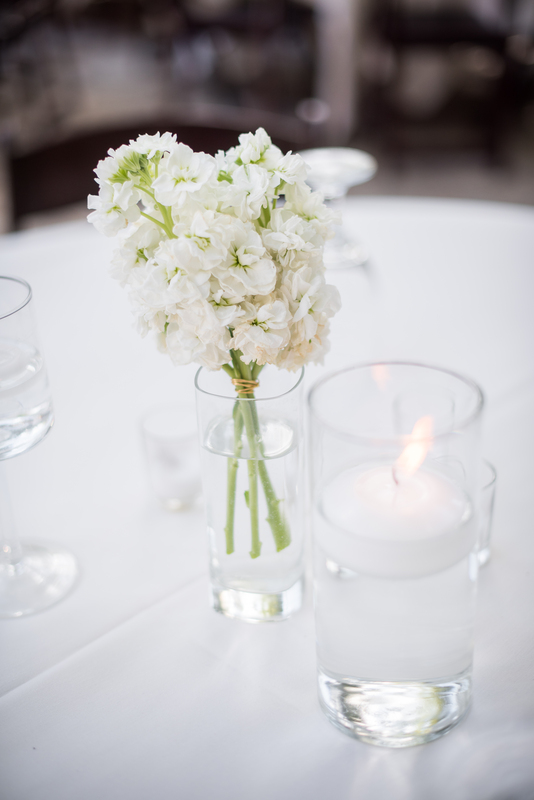 The florals for the reception mimicked the bridal bouquet in their neutral simplicity and unstructured composure. 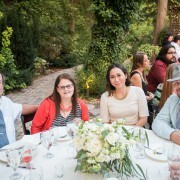 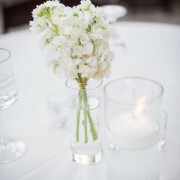 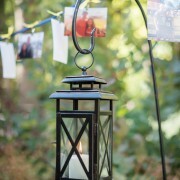 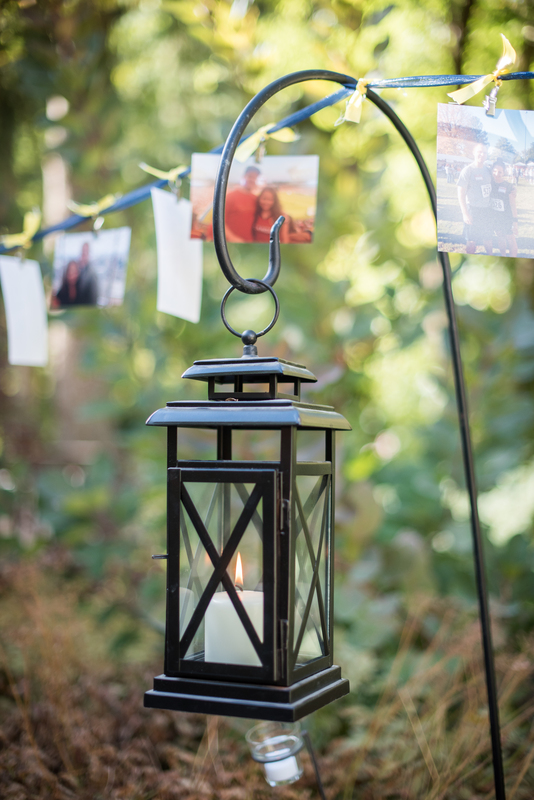 The white florals along with hundred of flickering candles created a cozy atmosphere for guests to stay, socialize, and enjoy the last little bit of summer. 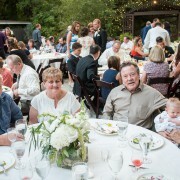 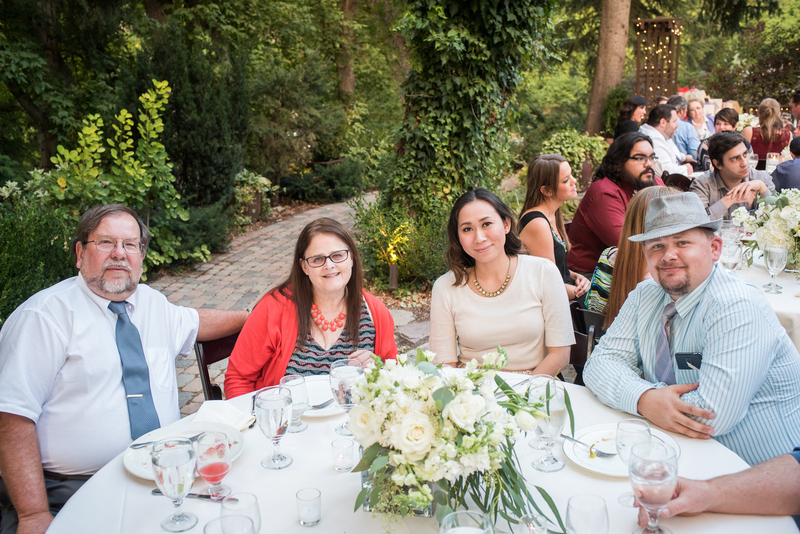 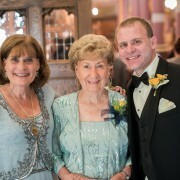 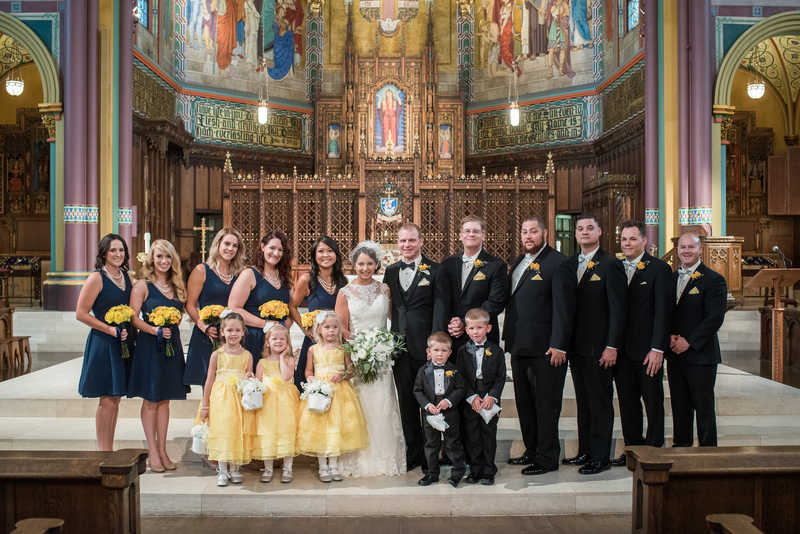 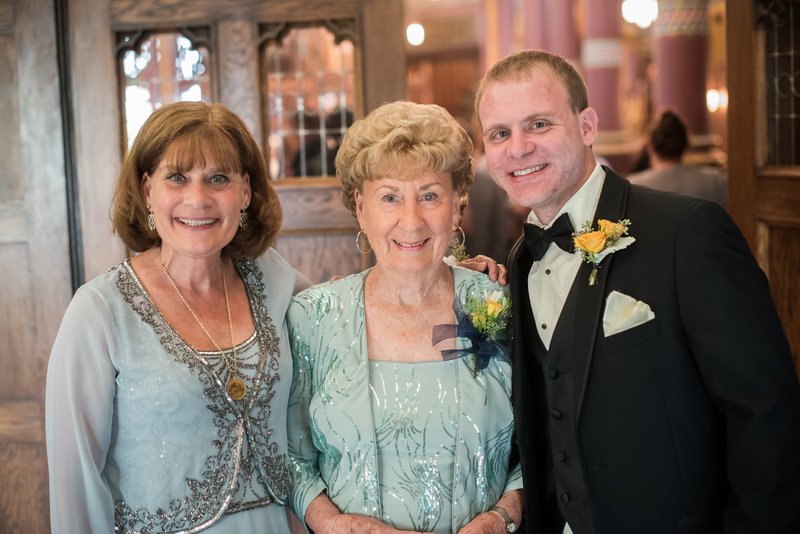 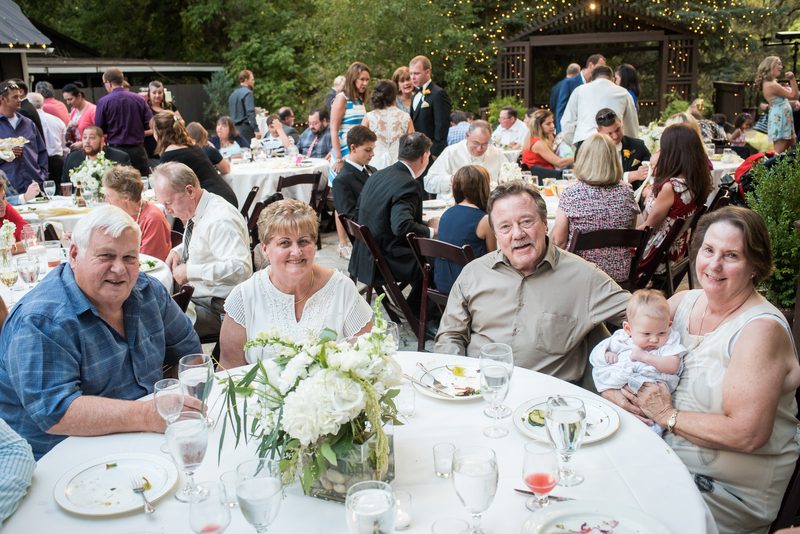 The Bride and Groom were married in the gorgeous Cathedral of the Madeline in Downtown Salt Lake City, followed by a reception at Millcreek Inn.